It's all about bring a smile to your daily grind. 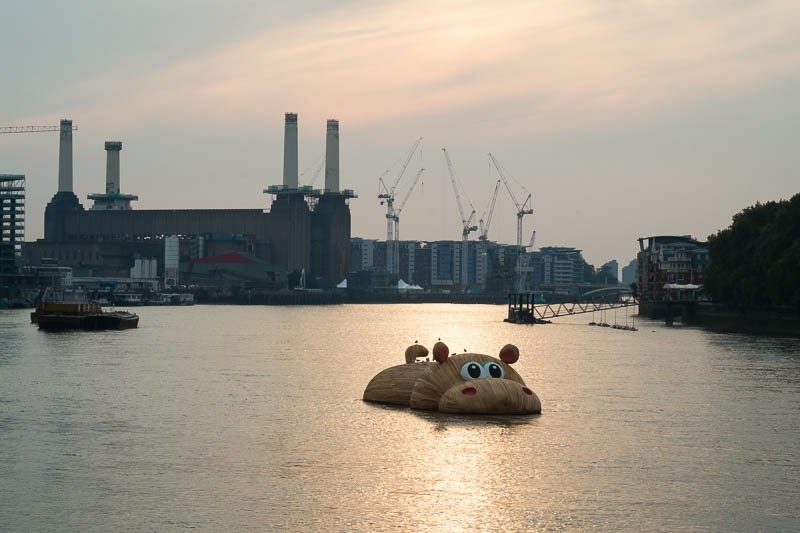 A giant hippo wallows in the Thames with its big eyes and pink nostrils staring out at passersby. The work of artist Florentijn Hofman, who is known for creating huge sculptures from everyday objects such as a rubber duck or a paper boat. What strange careers some people find for themselves!